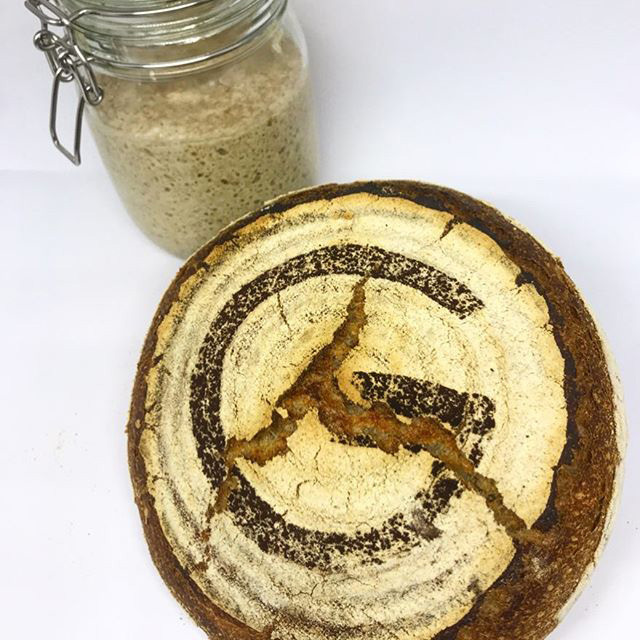 So here is a picture of some sort of sourdough with the G logo imprinted or crusted into the top. This is a photo from Bill Schindler who will be doing a sourdough workshop at the Google office. He shared the photo on Instagram and wrote "Looking forward to teaching a hands-on sourdough workshop at Google Headquarters in Dublin today!"